The New York Times is reporting that Pfizer has imposed new controls on their products to make sure that none of them are used in lethal injections. Pfizer was virtually the last major legal source for the drugs used in executions. The Times reports that Pfizer issued a statement Friday saying it “strongly objects” to the company’s products being used for executions and will impose new limits on how they’re distributed to make them harder to get. Specifically, seven drugs that can be used in executions will only be sold to certain wholesalers, who will then be monitored to make sure they don’t resell them to state corrections departments. Some states have used straw buyers or tried to import drugs from abroad that are not approved by the Food and Drug Administration, only to see them seized by federal agents. 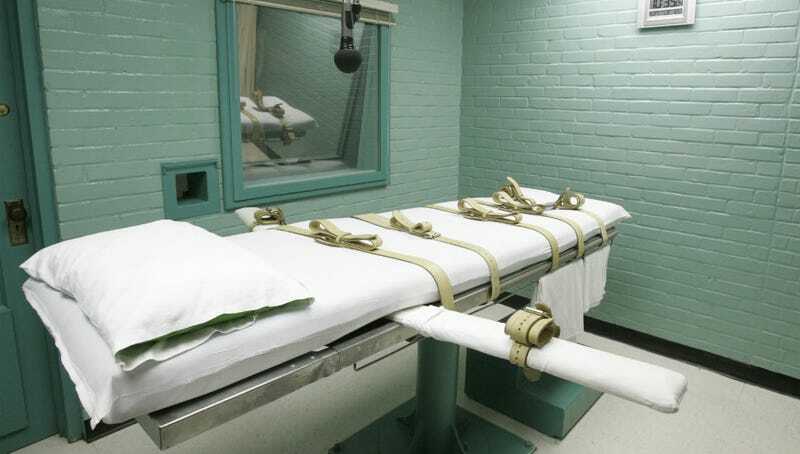 Some have covertly bought supplies from compounding pharmacies while others, including Arizona, Oklahoma and Ohio, have delayed executions for months or longer because of drug shortages or legal issues tied to injection procedures. There’s been an increased backlash over death by lethal injection, but it’s had a curiously mixed effect. Anti-death penalty activists have been able to successfully persuade European pharamceutical companies not to sell execution drugs to the U.S. Unwilling to stop executing people, and unable to find the barbiturate drugs they’d used previously, many states turned to a new drug called midazolam in 2014. In turn, that led to a record number of horribly botched executions, as states started testing new combinations of drugs that, in many cases, seem to create prolonged agony.